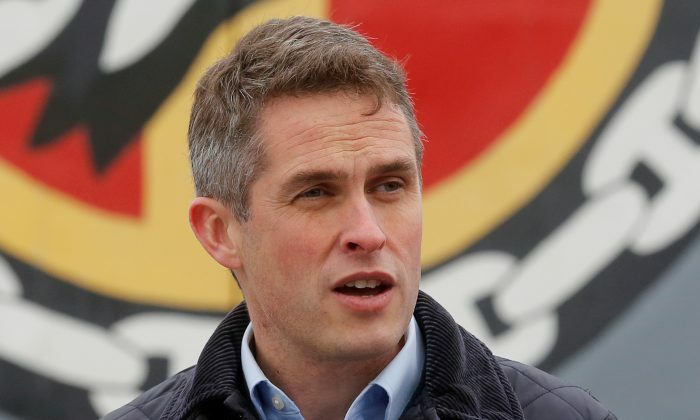 LONDON—Britain will use military force to support its interests after Brexit, Defense Minister Gavin Williamson said on Feb. 11, in a speech setting out a global role for the armed forces but with little detail on how to fund such ambitions in the long term. Williamson outlined plans to invest his defense budget in new equipment and cyber capabilities and send Britain’s new aircraft carrier to the Pacific, where London has been seeking to demonstrate its influence in relation to China. Britain spends about 36 billion pounds ($46.45 billion) per year on defense—the seventh-largest sum globally, measured in dollar prices in 2017, according to the Stockholm International Peace Research Institute. That budget is dwarfed by those at the top of the list, with the United States spending 13 times more and China spending five times more. Brexit has brought on Britain’s biggest political crisis since World War II, with opponents describing it as a blow both to Britain’s influence and to the West as a whole. “We will build new alliances, rekindle old ones, and most importantly make it clear that we are the country that will act when required. We should be the nation that people can turn to when the world needs leadership,” Williamson said.